Chandlers Building Surveyors Ltd has 35 years experience in building control, building surveying, building design and construction, project management, facilities management, expert witness commissions and party walls and boundary disputes. Gary Fountain BSc (Hons) DMS, MBA, FRICS is the managing director, who leads a team of enthusiastic consultants, undertaking a variety of different types of building surveying commissions throughout the country. 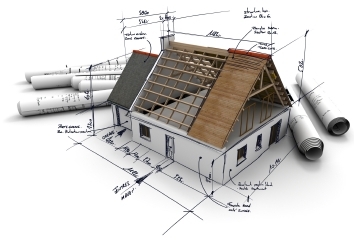 Staff are fully qualified, not only as Chartered Building Surveyors but also Chartered Building Control Surveyors. One member of staff was originally registered as Approved Inspector No. 23, with the Construction Industry Council. Based in Chesterfield and Sheffield, Chandlers Building Surveyors is a client-orientated practice with modern facilities and dedicated support staff. Chandlers Building Surveyors is a highly qualified and motivated team, providing building advice throughout mainland U.K.
Chandlers Building Surveyors is a full member of RICS and, like all professional and respectable Chartered Building Surveyors, is abreast of current legislation within the construction industry and developments that affect property professionals. This enables us to supply services to blue chip companies, national retailers, registered social landlords and provide advice to other building professionals. In all Chandlers Building Surveyors do, client satisfaction is their goal. Leading quality expertise and cost competitiveness defines their market position. Fully qualified and experienced staff provide excellent advice, with fixed price quotes for most types of building surveying projects. Chandlers Building Surveyors visit clients at a time to suit them. This includes evenings and weekends, with no premium charged and no nasty surprises that are often found when fees are charged on a time basis. Contact Chandlers Building Surveyors now, for a no obligation discussion and/or a fixed-priced quote for your requirements.